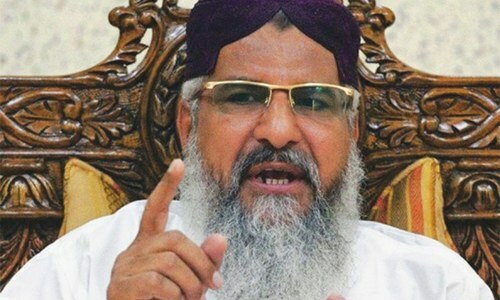 JHANG: Independent can­didate Maulana Masroor Nawaz Jhangvi, supported by the banned Ahle Sunnat Wal Jamaat (ASWJ), won the Punjab Assembly’s PP-78 by-election on Thursday with a margin of 12,793 votes, according to unofficial results. 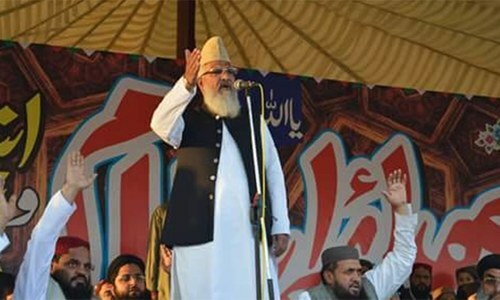 Mr Nawaz, son of the slain Maulana Haq Nawaz Jhangvi who founded the now defunct Sipah-i-Sahaba Pakistan, received 48,562 votes, whereas his closest rival, Azad Nasir Ansari of the Pakistan Muslim League-Nawaz, received 35,469 votes. The candidates fielded by the Pakistan Peoples Party and the Pakistan Tehreek-i-Insaf were virtually routed, as PPP’s Sarfaraz Rabbani received 3,671 votes and PTI candidate Arfa Majeed 2,821 votes. Earlier, polling at the 171 polling stations of the constituency proceeded peacefully throughout the day and no untoward incident was reported. Security was beefed up and police were accompanied by Rangers contingents and Army personnel at all polling stations. The overall voter turnout appears to be around 30 per cent. The PTI’s national and provincial leaders had paid scant attention to the by-election campaign. On the other hand, PPP’s top leadership, including former prime minister Syed Yousaf Raza Gillani, opposition leader Syed Khurshid Shah, Sindh Assembly Deputy Speaker Shehla Raza and members of the central executive committee including Chaudhry Manzoor had visited the constituency, addressed rallies and corner meetings and engaged in door-to-door campaigning. A slap on National Action Plan! So this is the state of affair in Pakistan after two years of so called national action plan. Its an open secret what this elected guy and his supporters believed in about other sects and what is their religious approach. No efforts from Pakistani government to transform our society as tolerant and based on co-existence. So this is the result. Banned, busted and then back into business, what is our direction..? Like 'Noora kushti' - Pakistan is also a leader in developing 'Noora' Ban. It means the banned parties can do whatever they want to - like fielding candidates, organizing public rallies and protest meetings in the national capital, etc. along with carrying out terrorism - but they need to follow 'Ban' protocol. The people have spoken (as in the USA) that they want a biased, highly abusive, controversial, self interest motivated, violent leaders to rule them. Let the people have it. Where are is NAP? where are security forces? where is so called Govt? So this was the 'implementing NAP in letter and spirit' General Raheel Sharif was talking about when he retired. And then we cry for terrorist free country. Political expediency at work....at the cost of the country. One possible drawback of democracy e.g. US Elections this time and this one in particular! Hail the system that let him contest in the first place. Keep the masses illiterate and this will keep happening. These people and their ideology should have no room to breathe in society. They need to be starved off like the cancer cells that they are. Officially, Masroor is Independent member. 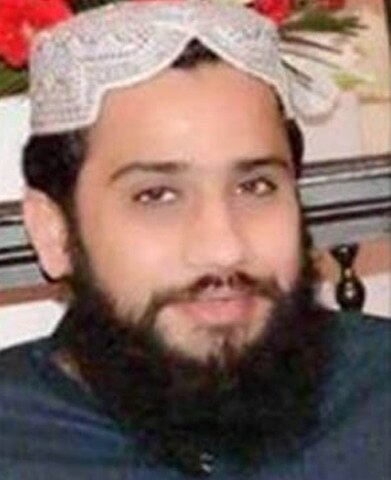 We can't stop somebody on the whims of his father or withdraw of ASWJ candidate in his favor. We need to judge a person by his/her own actions rather pre-judge by the actions of his predecessor or company. Should be accepted the people vote power, the MPA elected by Democratic process. please all of you be positive and try to calm dawn. if you cry thing will go more dangerous for society. It seems banned outfits are emerging on the horizon again, a point of concern and bleak foreign policy picture for the future. Where is the 'National Action Plan'? Isn't it a coincidence that the so called plan is called/abbreviated 'NAP'? why are people like this even allowed to stand, there should be minimum criteria before standing including barring all those who are part of sectarian outfits for 25 years. On one hand banned party supported candidate won the election shows fair election took place in the jhang and other serious thing is that still people love and support and having soft corner for Ahal SWJ band party despite being aware that it is involved in past secterition killing in the country resulted the party were banned disply that jhang is yet strong hold of it. alarming situation for pmln, and ppp also. in any civilized country of the world such hate mongerer would be languishing in Jail let alone contest election and win it too. why on God's good earth we let such elements contest elections and spread hate in the name of religion, very sad! If this organization is banned, how was he allowed to run and why? @Unbiased : As if these have no support from military. Dictators gave birth to them, flourished them & are still supporting them as well as the political parties. Why blame only democracy? Why Election Commission did not object. Nothing New Azam Tariq also won the election in 2002 when the mushraf the so called Liberal leader was in power. @Ahmed bin Babar.our direction is nothing but only extremism and a very bad image of pakistan in the outside world.it seems we are heading towards an intolerant society in the future too. He ran independent and he is chosen by people democratically. You can not change democracy for certain situations. it is all the fault of Election commission , how they have allowed a banned outfit,s member to take part in elections. If they are allowed then what is the purpose of calling them banned outfit? for what actually are they banned? Secondly i am surprised to see that there are still lot of local people who are in favor of these terrorists. Now these extremist will be part of National Assembly. Was this the reason Ch Nisar is out of country? Slap to everyone. Has democracy now being used as a means for alleged criminals to represent the nation??? .....imagine what the nation is heading towards....! Banned parties and individuals must not be alllowed to stand for election. Elections rules if not at present must be modified in the interest of country's security. India elected Modi an extremist and now Pakistanis are doing same as counter. How about when seat goes vacant it goes to guy who came up second and save lot of money to keep having elections? @SAB Nope a Slap on Pakistani People Who voted him. Great news,how much public support a banned organization can garnish.